Larry Hodgson was born in Hobbema (now Maskwacis). When Larry was six he, like the other children on the reserve, attended the Ermineskin Indian Residential School. For Larry, the positive aspect of the eleven years he spent in residential school was learning how to play hockey and baseball. 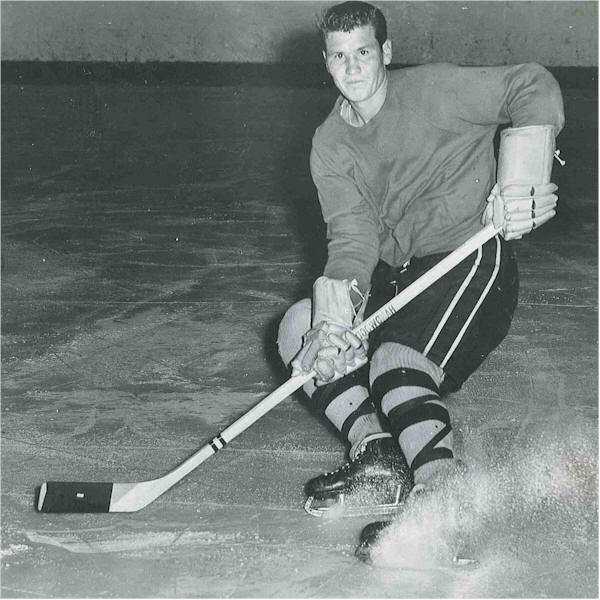 He developed a passion for competitive sports and his skill level allowed him to play on teams in both hockey and baseball in his home community, in Wetaskiwin, in other Alberta centres and in Europe. 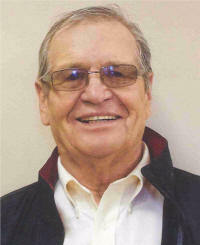 Larry has passed on his love of sports to his children and grandchildren as well as other youngsters in Maskwacis. He has been involved with hockey almost all of his life either playing, coaching kids, mentoring coaches, working in hockey schools, or supporting the young people of his community. As an athlete Larry’s “claim to fame” is scoring the fastest three goals in competitive hockey. When he was seventeen and still in residential school Larry played for Al Arner’s Juvenile Baseball Team in Wetaskiwin. In order to get to Wetaskiwin, someone from Wetaskiwin picked him up at the school and drove him back and forth to games and practices. Over the years Larry's impressive baseball skills allowed him to play in the summer with various teams depending on where he was living and working. He played in Grande Prairie, Wetaskiwin and even played for the North Edmonton Rockets, a team made up of hockey players. Once Larry left the residential school he started working as a labourer for local farmers and then got a job at Pahal Motors in Wetaskiwin. While working in Wetaskiwin, Larry played hockey for the Wetaskiwin Juvenile Colonels in 1951-52 and 1952-53. In 1953 he was awarded the Manley Memorial Trophy for the best all-round and most co-operative Juvenile player. The next year Larry was out of the Juvenile age group and he played for Hobbema in a newly formed Senior League against Wetaskiwin, Gwynne, and Millet. The Hobbema team finished the season at the top of the league. The next year he played for the Wetaskiwin Colonels. After attending SAIT for an automobile mechanics course, he then played for the Ponoka Stampeders. In 1955-56 Larry helped the Stampeders win the Provincial title as well as the Western Canada Championships. 1956 was also the year that Larry set the record for the fastest three goals in competitive hockey when, in a league game in Ponoka, he scored 3 goals in twenty seconds, a record that stands to this day (2016). 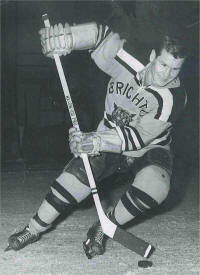 The next two years (1956-57 and 1957-58) Larry played for the Grande Prairie Athletics. In his first year with the Athletics they won the North & South Peace Country Senior Hockey Championships for the first time and followed it up with another win the second year. Larry also played in Vegreville for one season. 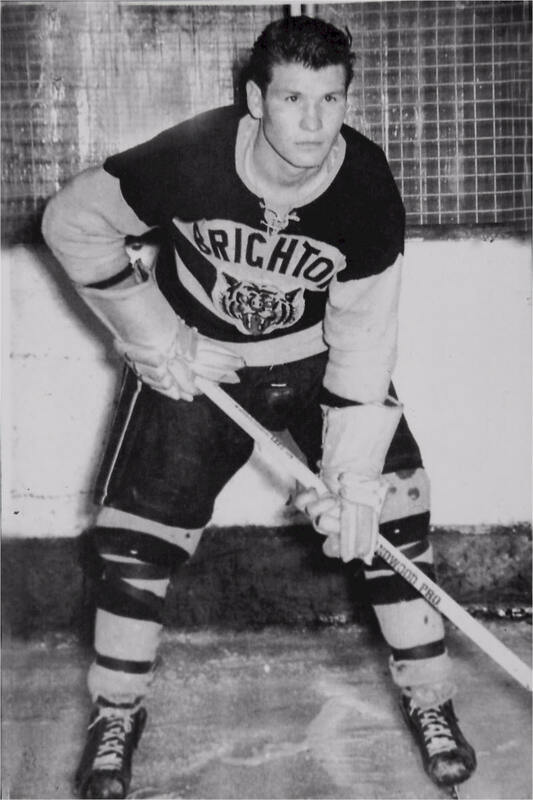 Larry did have offers to play minor professional hockey in Omaha and Fort Wayne but because he wanted to travel the world he chose to play professionally in England. 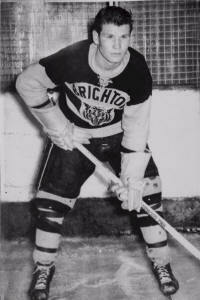 In 1960-61, Larry played in the British Ice Hockey League for the Brighton Tigers. The Tigers played against teams in England and also traveled to Amsterdam, the occupied Czech Republic and Germany to play a circuit of European teams. After his stint in Europe Larry’s work took him to the North and again he played hockey, this time for Peace River Stampeders. Larry moved back to Maskwacis, married and began to raise his family. As Larry was involved with his three sons as they passed through the minor hockey system, he became interested in the coaching aspect of the game. In 1973 he attended his first clinic, a Masters Coaches Clinic run by Fred Shero. 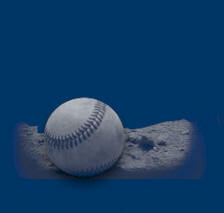 By attending various coaching clinics he eventually achieved his Coaching Level 5. Larry mentored other coaches by teaching coaches Level 1 and 2 in different Alberta towns. Larry also coached a Junior A team. Additionally, for a number of years Larry ran the Four Band Arena in Maskwacis. His duties included making up coaching plans for the coaches, setting practice times, and in general running the Maskwacis Minor Hockey Association. Another administrative position in Larry’s resume was managing the Panee Agriplex overseeing twenty-eight Rodeos. Later in his career Larry played for the Hobbema Oil Chiefs with his two brothers, Ted and Harley, in a local senior league. Besides league play, the Oil Chiefs traveled to many “old timer” tournaments in Canada as well as an international tournament in Germany where the team won the Silver medal. He was also a member of the Wetaskiwin Old Timers for three or four years, again played in many Canadian tournaments, and also attended a tournament in Holland. Now, as an octogenarian, Larry’s involvement in hockey is following his two grandsons. One plays at the University of Alberta and the other in the Alberta Junior Hockey League. No doubt these boys inherited their “hockey genes” from their grandfather. Larry grew up and played hockey in an era not many of us are familiar with. For the times and situation his achievements are outstanding and made possible due to his exceptional skill, his work ethic, and love of the game. We are pleased to induct Larry into the Wetaskiwin & County Sports Hall of Fame for his lifetime involvement in sport and the contributions he has made to youth.